Am I a good father? What kind of man am I? I imagined how someone might grade me on a variety of categories as a way of reflecting about the meanings of "man" and "father." In the big picture of parenting, I judge him as above average. He gives his kids room to grow but is happy to nurture and comfort them. He works hard to be very involved in all phases of his kids' lives. He volunteers as an assistant coach for his 5-year-old's t-ball team. He puts a lot of emphasis on making his kids laugh, having fun with them, playing with them, meeting their immediate needs, and coordinates everything with his wife. This is a report card of him, but for context it must be said that all major decisions are shared with his wife. They are a team. They are good at many of the same things, and bad at many of the same things. As I write this summary, it occurs to me that "above average" is a strange way to rate a person as a father or man. Who gets to decide what constitutes a good parent or good person? Who sets the baseline? What is below average and what would it look like? What's with all the rhetorical questions? Maybe it's time to pull back on our assumptions about concepts like "father" and "man." Truth be told, I don't think there is one set of things a man should do and a different set of things that a woman should do. Honestly, I don't see it that way. I guess I want to say that people do the best they can in this life. We should pay more attention to the things people do well. The best gift we can give people is to cast aside our stereotypical expectations. 18 ppl injured in Mother's Day shooting in New Orleans. Little converge. Is this cause media expect this? Ppl from these communities DON'T! Do you know who Jason Richwine is? If not, read Diego von Vacano's op-ed. For more on Richwine, go to Hector Cordero-Guzman's Twitter (@HCorderoGuzman) and scroll through his tweets from the past eight days or so. Onto a different topic. There's plenty of reasons to dislike Abercrombie and Fitch. The list is growing. Click on link in the following tweet to see what I mean. You couldn't pay me to do grad school over again. It's hard to keep up with the constant flow of information these days. There's so much to read to keep informed, so much material that can be used for teaching. 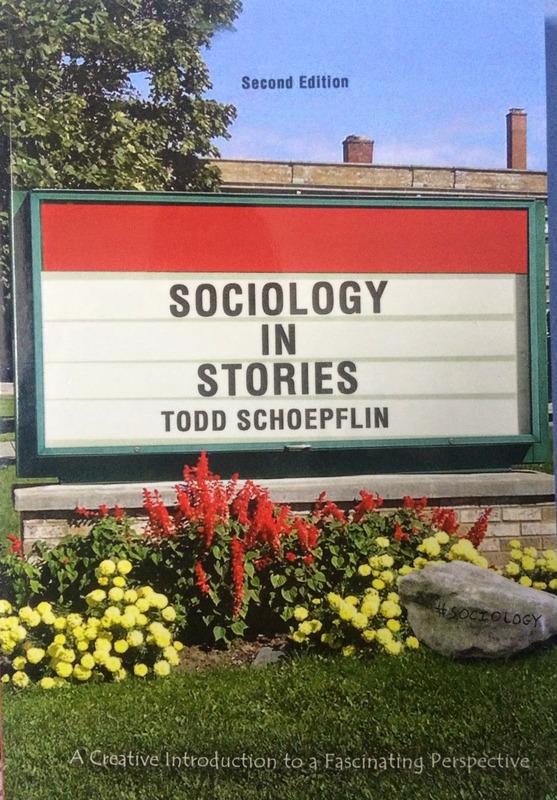 There's an endless supply of information available to sharpen our sociological perspectives. These are just a handful of recent tweets by people I follow that provide a glimpse into what I've been reading and watching lately. The class based bias that rests just below the surface of most respectable conversation is astounding. A few years ago I wrote about Ayla, a student I met in Introduction to Sociology. I was happy to see Ayla graduate from Niagara University yesterday. It was great to watch her walk across the stage and become a college graduate. Bravo!